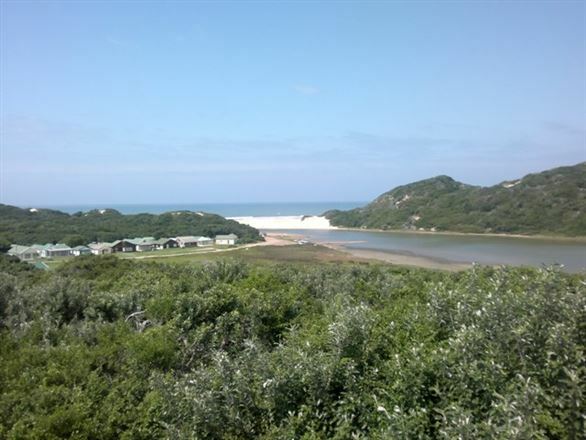 3 Barrack Lane is a lovely Self Catering Open Plan House in the Seaside Resort of Kasouga in the Eastern Cape of South Africa, with beautiful views of the sea, beach and the river, all of which are within walking distance. The sunsets are spectacular. 3 Barrack Lane is very private. A Nature Lovers Haven. This comfortably furnished self-catering cottage offers ideal accommodation for a large family or for groups of up to 10 people. The split-level cottage features a living space and two bedrooms as well as a large deck upstairs, with two more bedrooms with 4 x bathrooms and a family area leading onto a private covered veranda located downstairs with 3 car ports. The kitchen is fully equipped with all cutlery and crockery, a stove, a dishwasher and both levels are equipped with a fridge, a kettle, a microwave, and a toaster. The lounge area has DStv and guests also have use of a bridge table for evening games. All linen is provided, but guests need to bring their own beach towels. The house is not serviced daily, however, this can be arranged at an additional fee. Please note that the rates are subject to the number of guests staying, hence we advise guests to request the appropriate tariffs. The patio features a portable barbecue and there is also ample parking space, while the garden is an ideal place for children to play. Unfortunately, we cannot accommodate animals due to the abundance of wildlife that frequent the garden. The cottage is a private sanctuary nestled among shady indigenous trees with a large lawn area where you can truly unwind in complete privacy. A Birders paradise. Bushbuck, the rare tiny Blue Duiker, tortoise and hare wander in from the adjacent coastal forest to graze the spacious lawns. Here you can soak up the fresh air and be one with nature. "Excellent. Beautiful home with everything you might need! !Thanks Janet." "We found the cottage comfortable and well equipped. Lovely views from all sides. Handy for Port Alfred or Kenton-on-Sea. And secure. Thanks Janet."